Facebook is changing the way it displays news on its platform, replacing "Trending" stories with 'Breaking' local and national news. The change will take place this week and is designed to blunt some of the criticism directed against the social networking giant over its power to influence opinion. Writing in the company blog, Alex Hardiman, Facebook's head of News Products, said research shows the feature was not getting much use and was only available in five countries. "We’ve seen that the way people consume news on Facebook is changing to be primarily on mobile and increasingly through news video," Hardiman wrote. "So we’re exploring new ways to help people stay informed about timely, breaking news that matters to them, while making sure the news they see on Facebook is from trustworthy and quality sources." Facebook took heat during the 2016 election when content provided by unvetted publishers, which was either untrue or of questionable validity, reached millions of viewers. Since then, Facebook has been tweaking its news delivery system. With the change, the "Trending" button will be replaced with a "Breaking News" label. 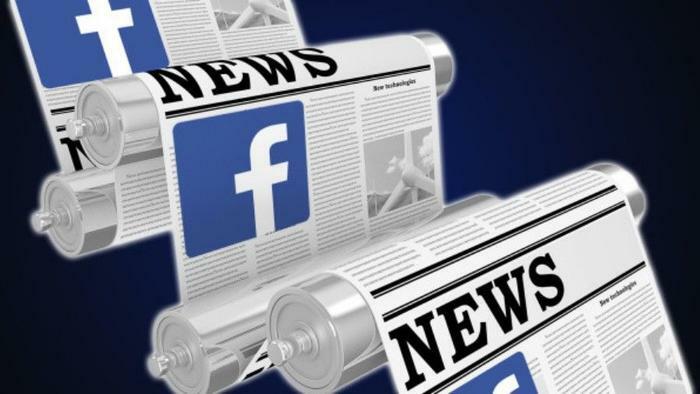 Facebook has been conducting a test that allows 80 publishers to embed a "breaking news" indicator within its content in the news feed, and users will be receiving breaking news notifications as part of the change. Facebook is also testing a feature called "Today In." It's a section of the site that connects users to the latest breaking and relevant news from local publishers in their city, as well as updates from local officials and organizations. Facebook says it will also soon launch a section on Facebook Watch that provides live coverage, daily news briefings, and "deep dives" into events and issues. "People tell us they want to stay informed about what is happening around them," Hardidan said. "We are committed to ensuring the news that people see on Facebook is high quality, and we’re investing in ways to better draw attention to breaking news when it matters most." Facebook may be feeling pressure to improve its news content because so many consumers now get so much of their news from it. Newspapers are on the decline, as is cable television viewership. A report from the Pew Research Center, published in September, found 67 percent of Americans get at least some of their news from a social media platform. The report concludes that Facebook, by far, is the most influential, with 66 percent of U.S. consumers using the site and 45 percent of those users depending on Facebook for news.